It seems like everywhere we look these days, we run into something geometric. 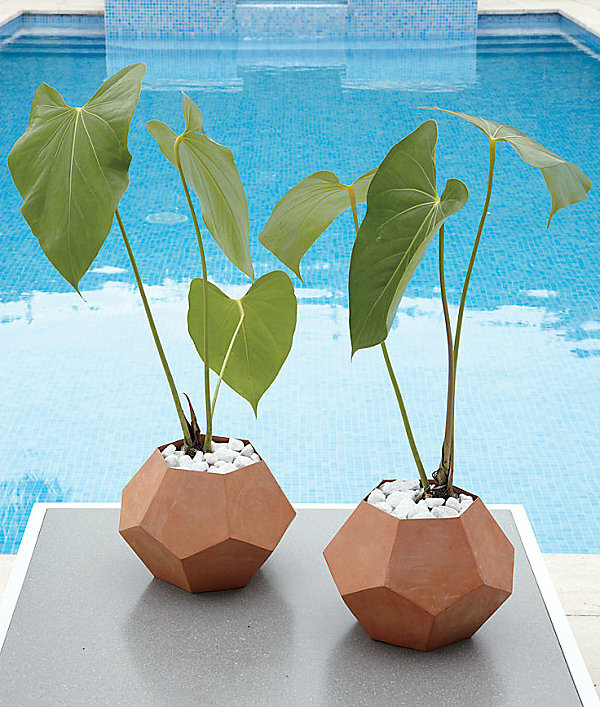 From geo planters and terrariums to faceted vases, these angular finds are the perfect dose of intrigue for your tabletop, wall or bed. 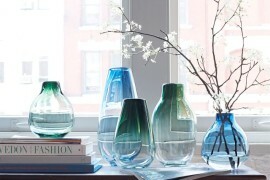 What started as an indie craft trend has made its way to larger retailers such as West Elm and CB2. 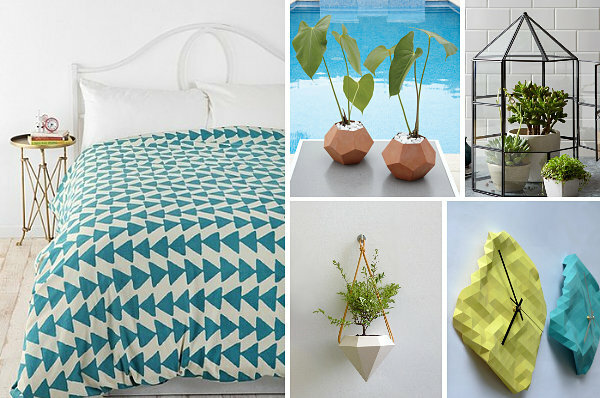 Today we take a look at how geometric forms can enhance your interior. Turquoise forms on a crisp white background. 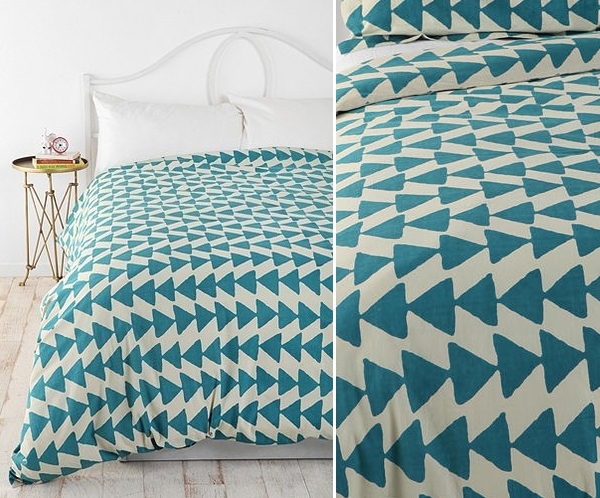 And there you have the Magical Thinking Triangle Chain Duvet Cover from Urban Outfitters. Not a big fan of blue? No worries! 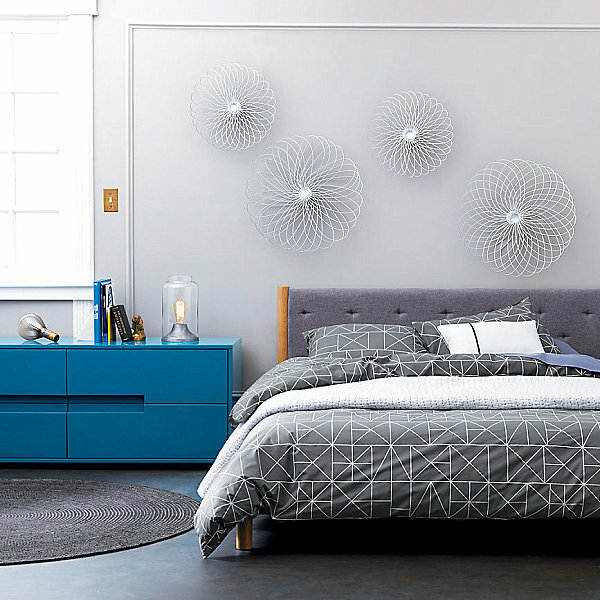 This bedding is also available in orange and gray. 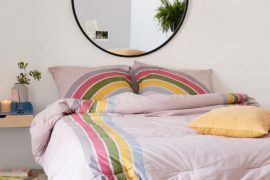 Note that the duvet cover comes in both Twin/XL and Full/Queen sizes. 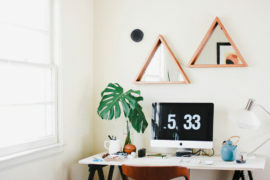 Don’t forget about the power of wall art! 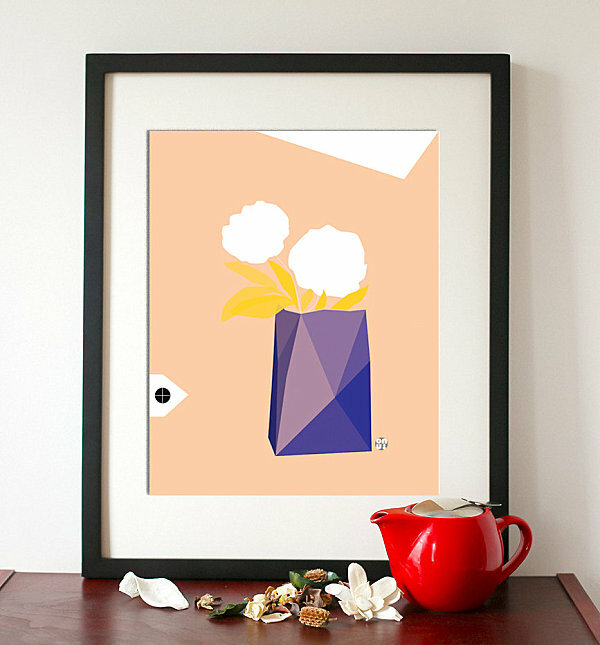 This Spring Awakening Geometric Wall Print from Etsy shop First Love by OUNI features a wonderfully unusual peach/yellow/purple color combination. A faceted vase takes center stage in this artwork. 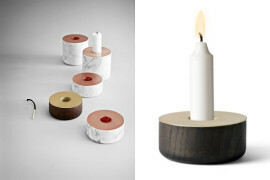 So wouldn’t it be pure design magic if the artwork took center stage in your home? 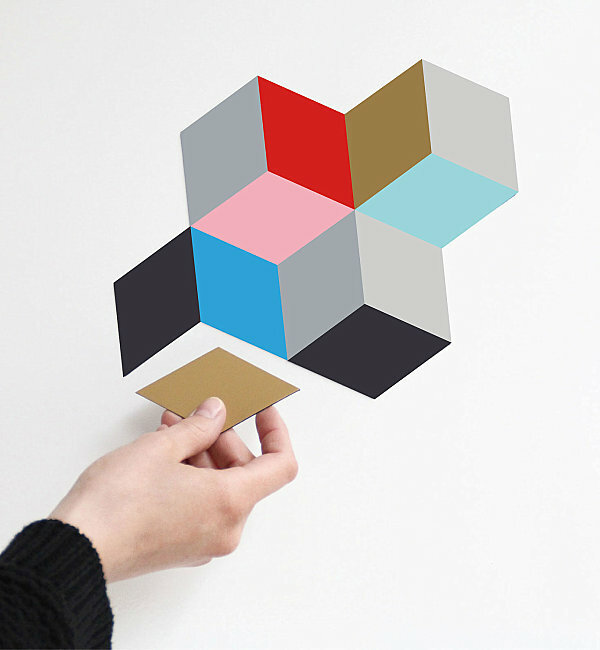 Etsy shop snug.studio makes it possible for you to create your own geometric art with this set of 12 snug.magnets. Put them on the fridge and use them to create a new design each day. With colors like gray, pink and bright blue, your creations are sure to be colorful! 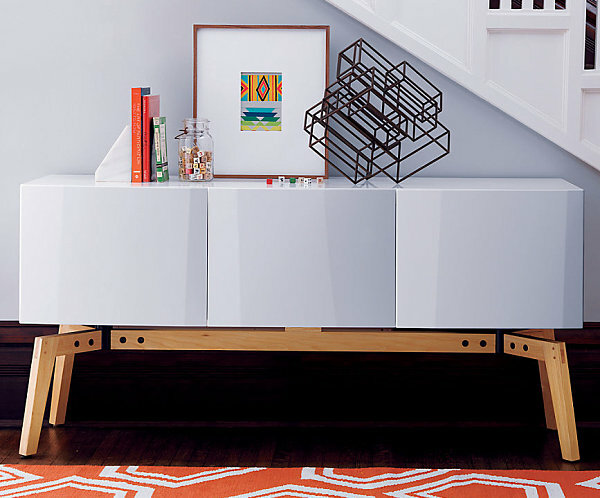 And now for a 3-D work of art… It’s the Connect 8 Sculpture from CB2. Eight iron rectangles intersect to form optical illusions. 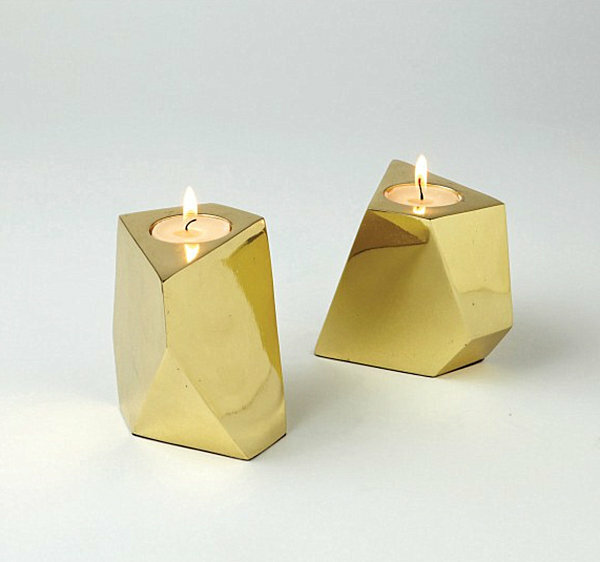 An antique-brass effect keeps this piece subtle and chic. But it will still be the star of whatever room it inhabits… Side note: each sculpture is made in India. 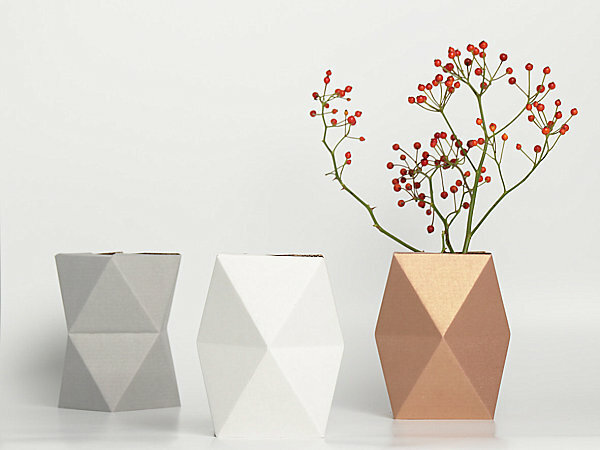 Etsy shop snug.studio is at it again, this time with their snug.vase. In fact, this cardboard vase is even more amazing than it looks in the picture. That’s because it easily unfolds, then gets its shape when you slip it over a glass filled with water. Add fresh greenery, and you’re set! 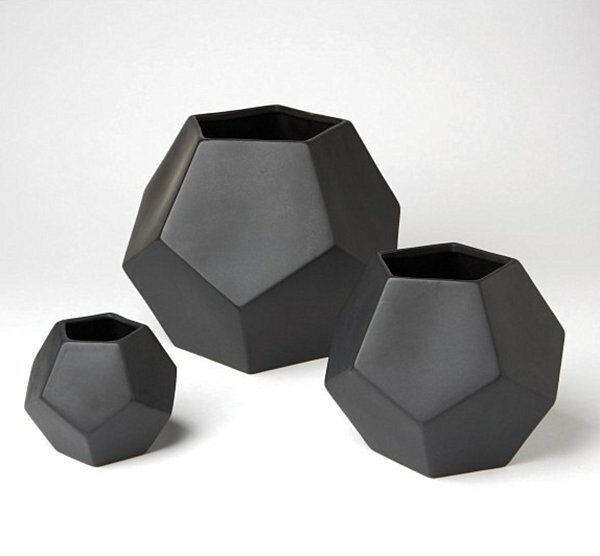 For another geo vase option, check out these Faceted Vases in black from DwellStudio. Reasons to love them include their clean angular look, the Mid-Century design that inspired them, and the three available size options so you can find the perfect selection. 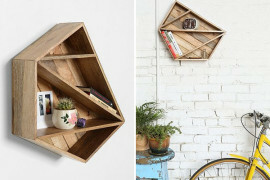 Or you can buy all three to amplify their geometric effect! 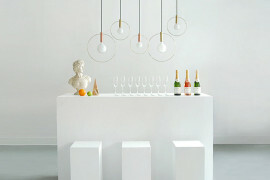 There’s something irresistible about the combination of geometry and glass, don’t you think?! 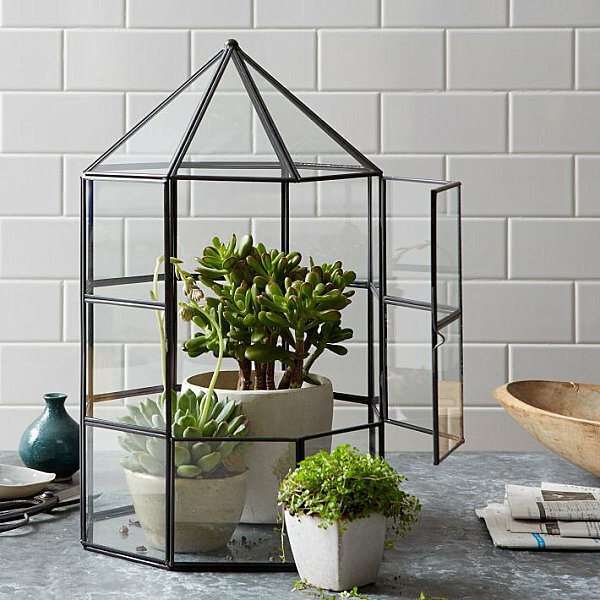 This Greenhouse Terrarium from West Elm has a hinged door and glass floor that makes it ideal for displaying collections. Plus, when you seal the plants inside, a moist environment is created, which lessens the amount you have to water your natural selections! 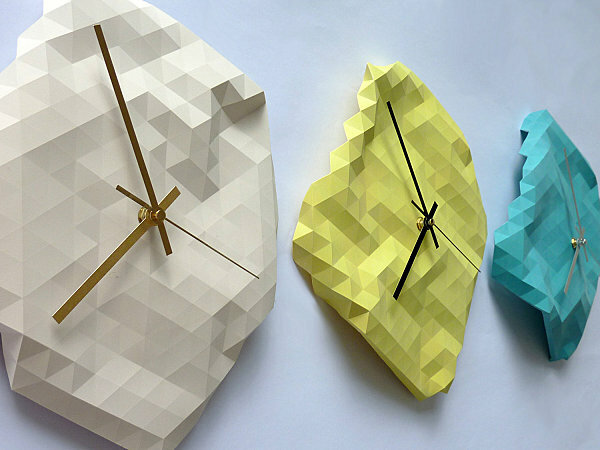 Diamonds are forever, so why not hang one on your wall? 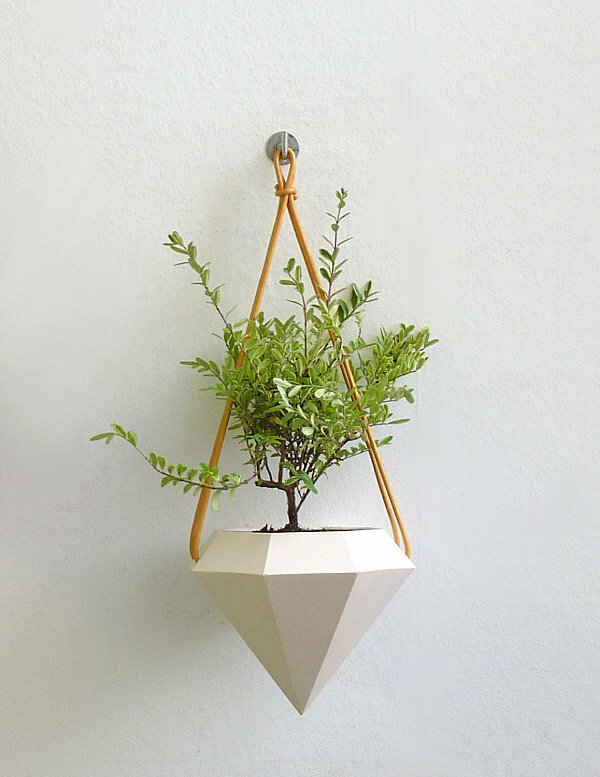 This Diamond Hanging Planter from Etsy shop Raw Dezign Studio was individually cast by hand in natural white resin. 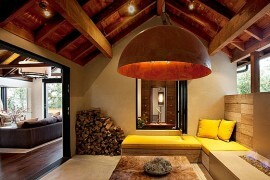 Suspended by leather cord, it can hang from a wall or a ceiling hook. The clean-lined design of the piece creates a wonderful contrast with any leafy flowing plant that it holds.